For our Papergang box this month, we are focusing around mindfulness. This encapsulates the themes of self-care, self-love and self-worth. We know it can be hard to always feel 100%, or even 50% with so many pressures in today's world, so we've created a selection of stationery to always remind you that you are good enough! 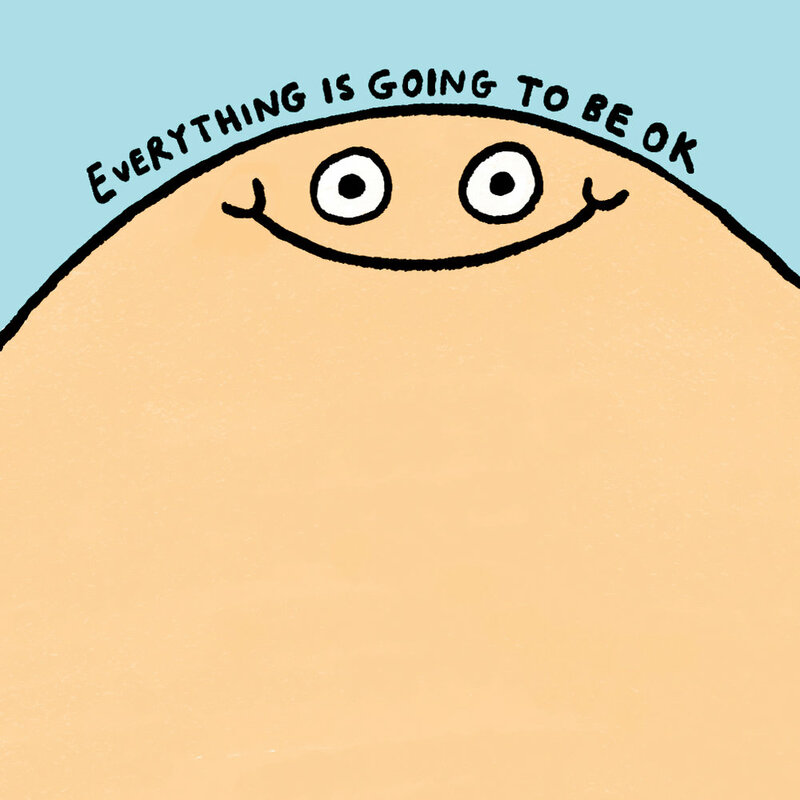 Obviously for such a theme, we needed the queen of mental-health, Gemma Correll to illustrate the box. 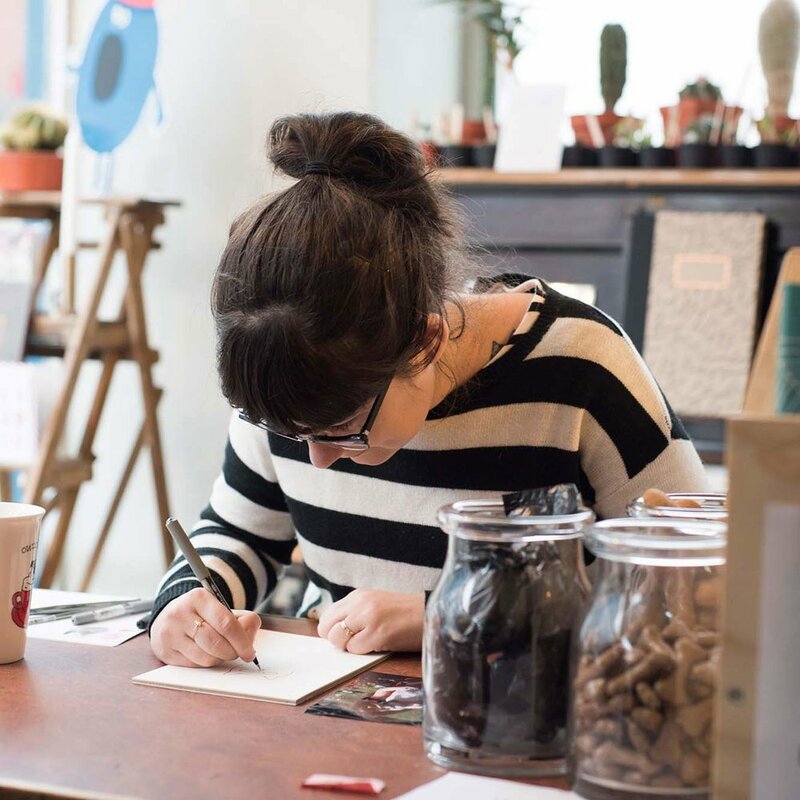 Below we talk about Gemma's creative career, share some helpful articles and have our creative team spread some words of advice after reflecting on their own creative self-worth. We talk peanut butter, 20p comics and working at home in pyjamas. A simple question! What is the best thing about your job? 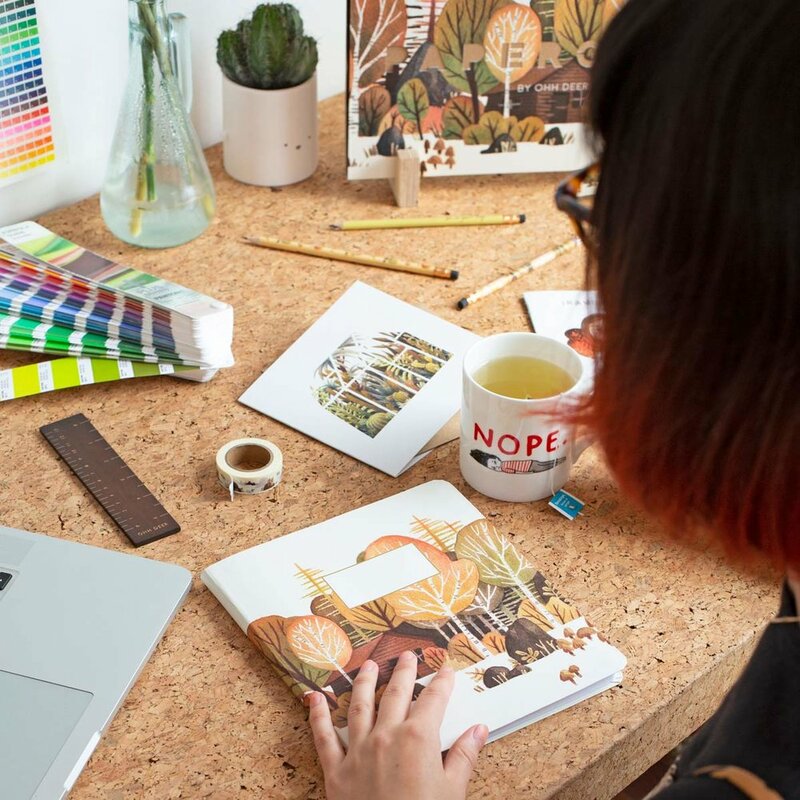 On this lovely blog, we often post some helpful articles when it comes to keeping your head in the creative industry, if you're feeling down or a bit lost, these might help in the knowing that you're not alone. The creative team share their experiences of their self-worth within the industry, how it can be difficult to take a break, and not to be so hard on yourself. Subscribe to Gemma's box! The stationery inside focuses on mindfulness and well-being. For £10.95 you will receive a box full of stationery goodness delivered straight to your door, (it's super cute too!). Click here to head over to papergang.com. Follow @thepapergang on Instagram. This month our feed is dedicated to self-love & self-care.